Join the Legacy Champions, a volunteer group that brings people together to support Legacy Animal Foundation. Members re-gift their talent, time, and resources toward special fundraising events, all of which benefit Legacy Animal Foundation grant recipients. Send us an email letting us know how you can help. Whether you are an individual or corporation, building relationships is important. Event sponsorship is a great way for you to help animals in crisis all while making important connections to a new audience of potential friends and customers. Send us an email to find out about upcoming sponsorship opportunities. 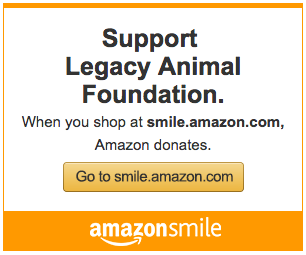 Shop at smile.amazon.com and Amazon will donate a portion of your purchase price. 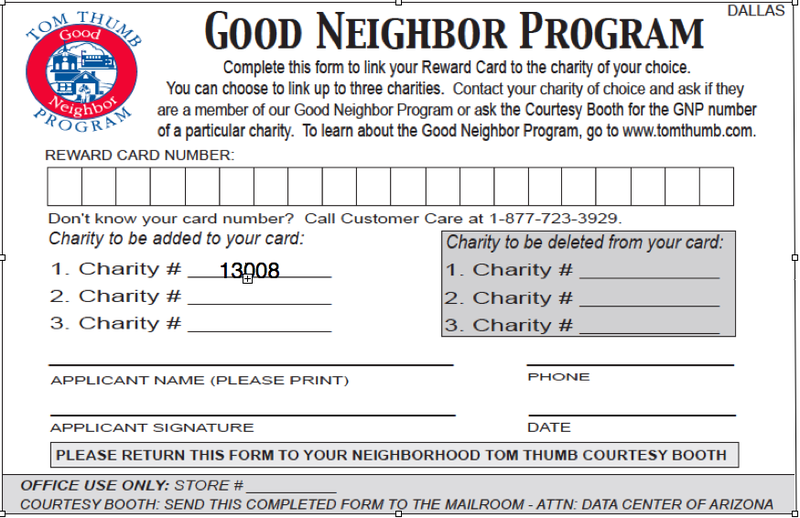 Link your Tom Thumb reward card to Legacy Animal Foundation.